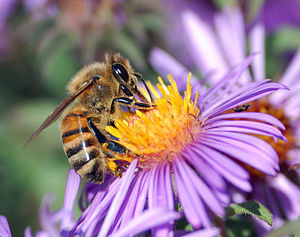 This WordPress.com site is the bee's pollination! 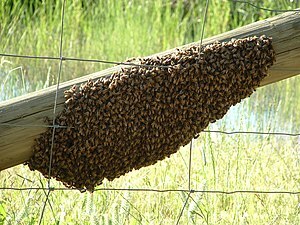 English: Placing honeybees for pumpkin pollination, WOOD-BURN, CANBY OREGON. 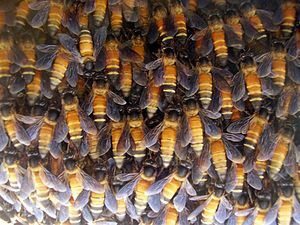 English: A hive of Apis dorsata (giant honey bees) I photographed whilst in Mt Abu, India. This hive was situated right next to a glass window of a building enabling me to get close enough. 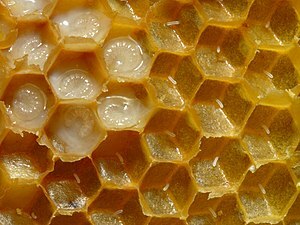 Honeycomb of Western honey bees (Apis mellifera) with eggs and larvae. Bee on plum tree with pollen. 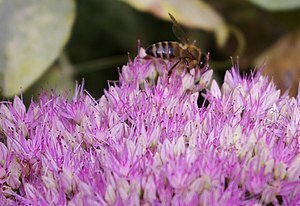 English: Honey Bee on Sedum Up until around a year ago the blooms of these flowers would be covered in honey bees. This year just one solitary bee is making its way round all the flower heads. 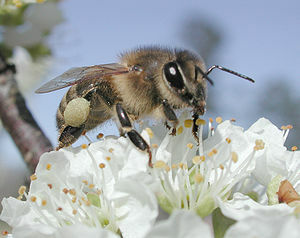 A honey bee collecting nectar from an apple flower. English: European honey bees (Apis mellifera) on a honeycomb in the Wilhelma, Stuttgart, Germany. 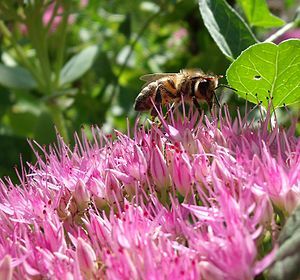 Deutsch: Westliche Honigbienen (Apis mellifera) auf Waben in der Wilhelma, Stuttgart, Deutschland. 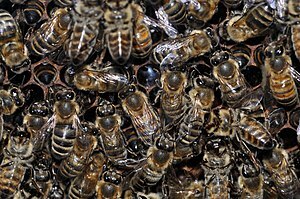 English: A swarm of s or European honey bees (Apis mellifera). 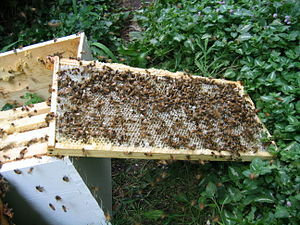 English: Honey bees cleaning the last of the honey off of a comb which has been processed. This image was selected as a picture of the week on the Malay. 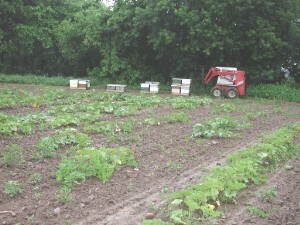 Our bees pollinate fruit and veggies! 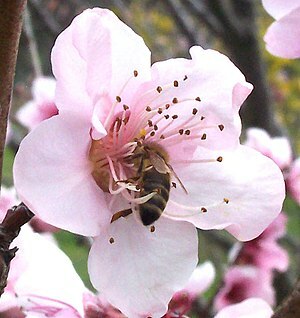 Our bees do the pollination’s for all fruits and veggies !